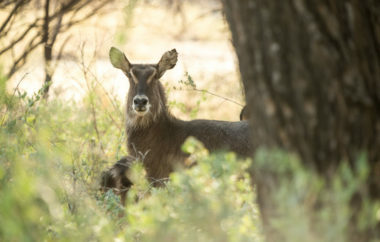 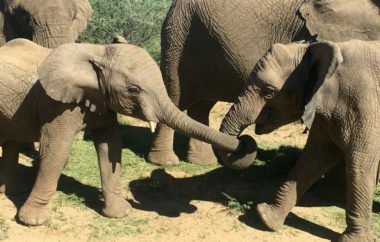 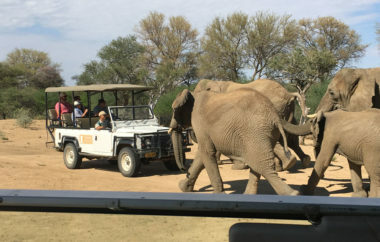 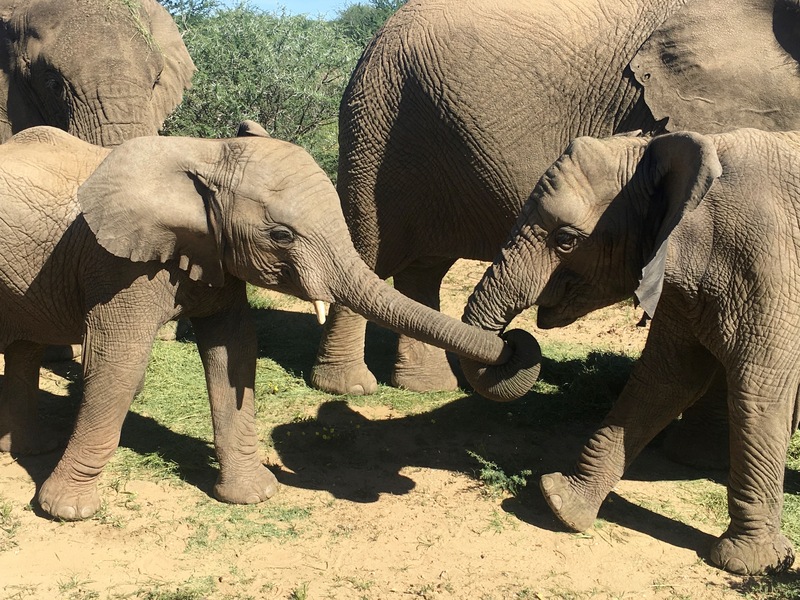 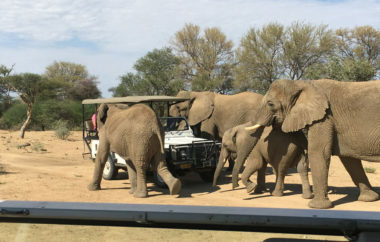 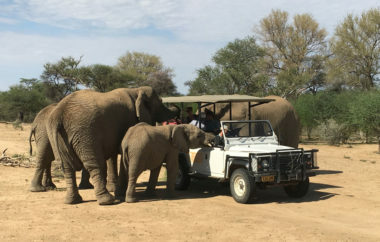 The game park is unique in Namibia. 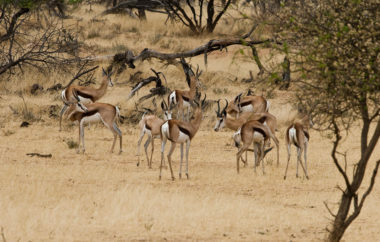 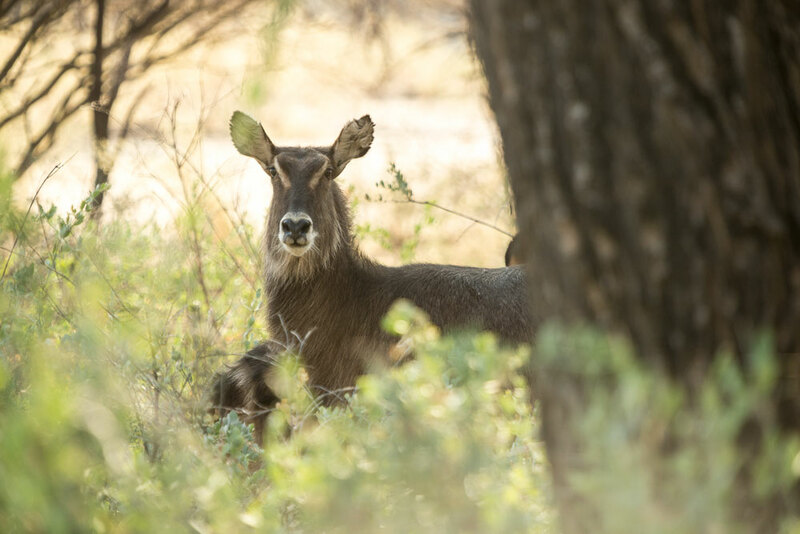 It has one of the highest wildlife stock, inhabited by most of all Namibian species. 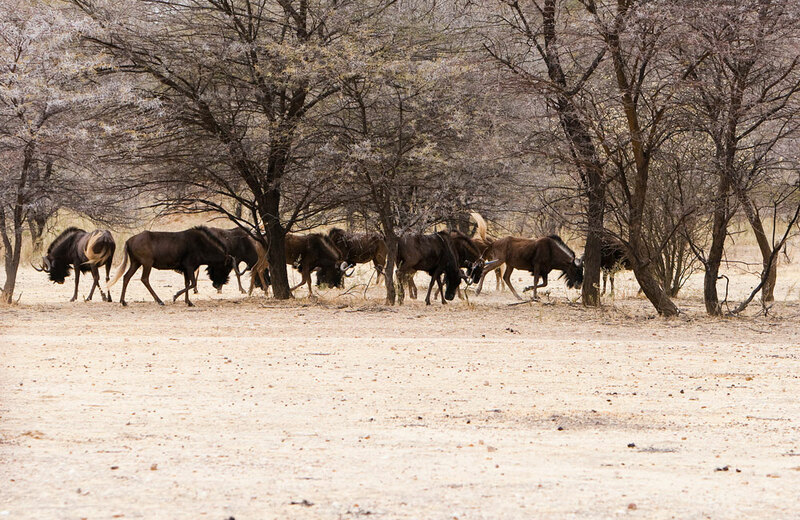 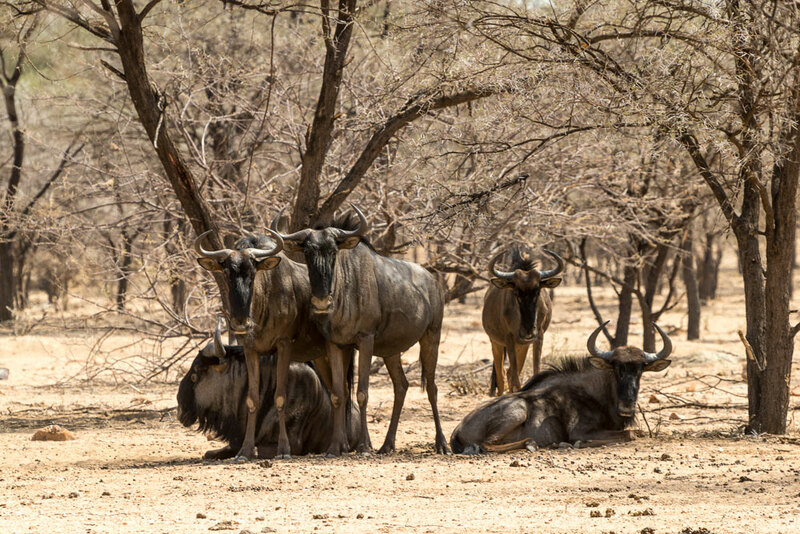 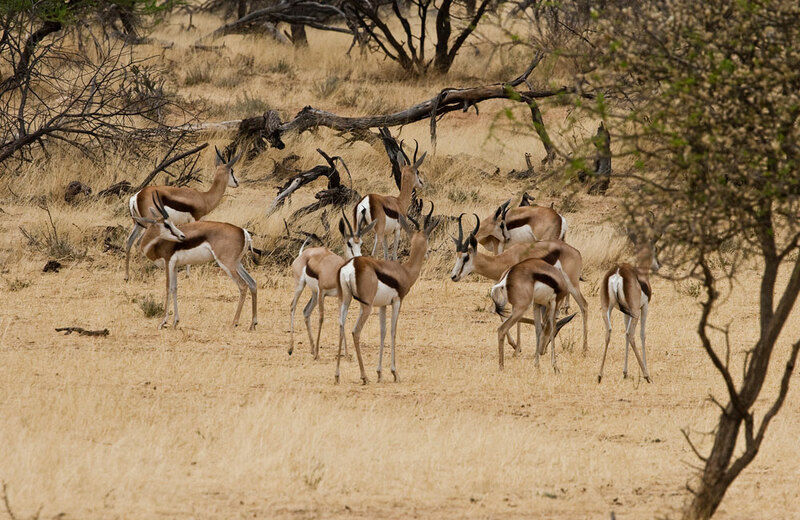 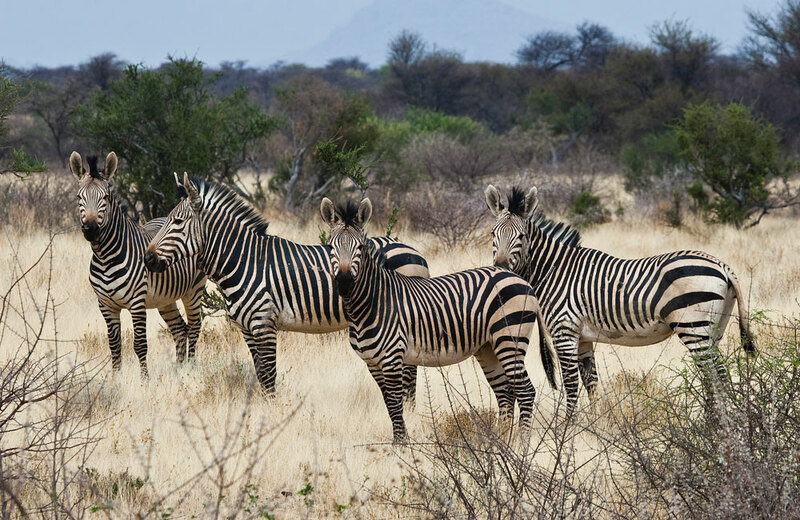 With a high likelihood visitors will experience breathtaking moments with the Namibian wildlife. 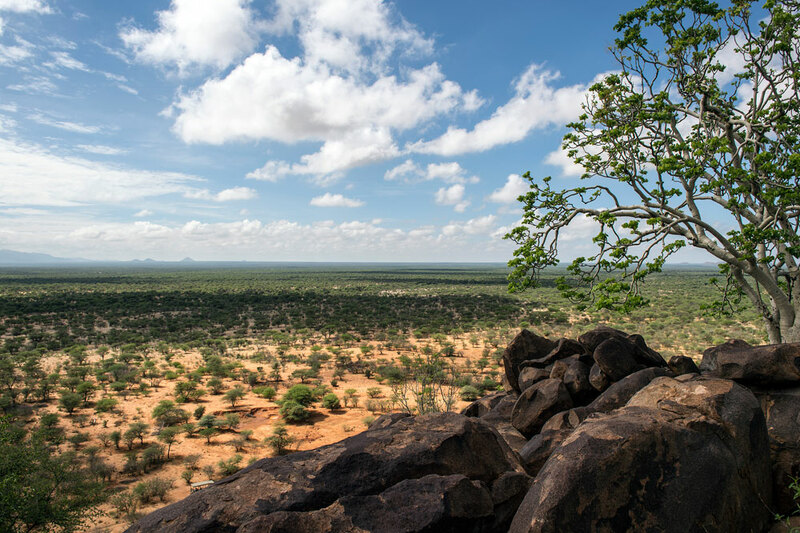 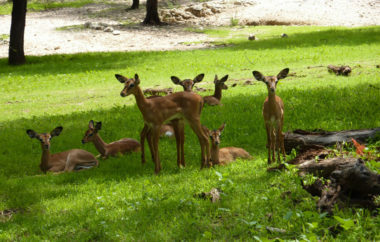 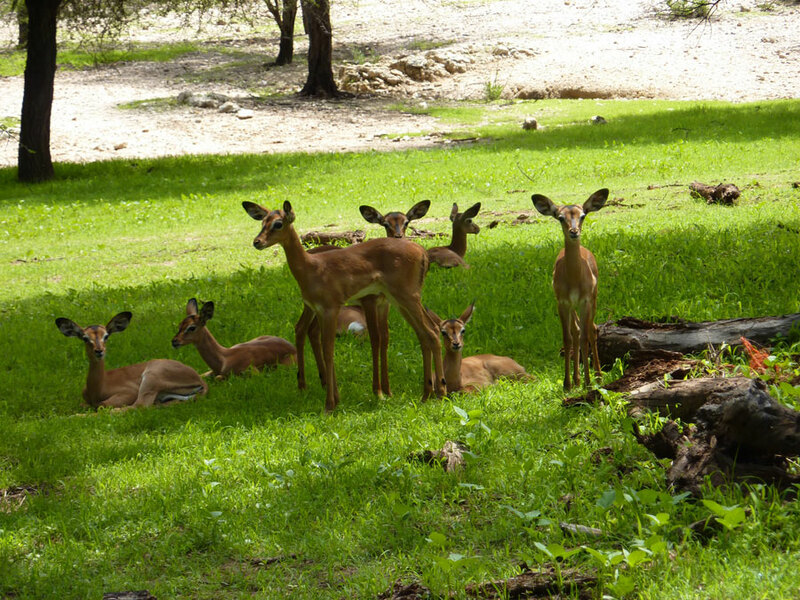 The game park area of the lodge stretches out over 3’400 hectares. 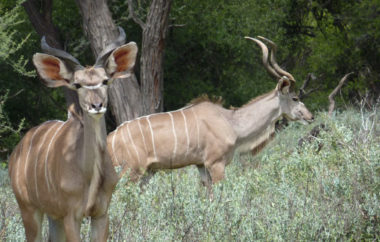 The Omaruru Game Lodge is located in the southern part of the game park. 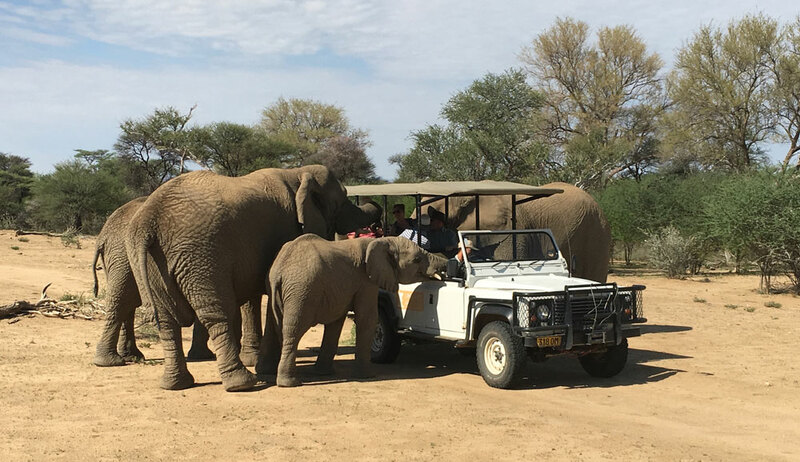 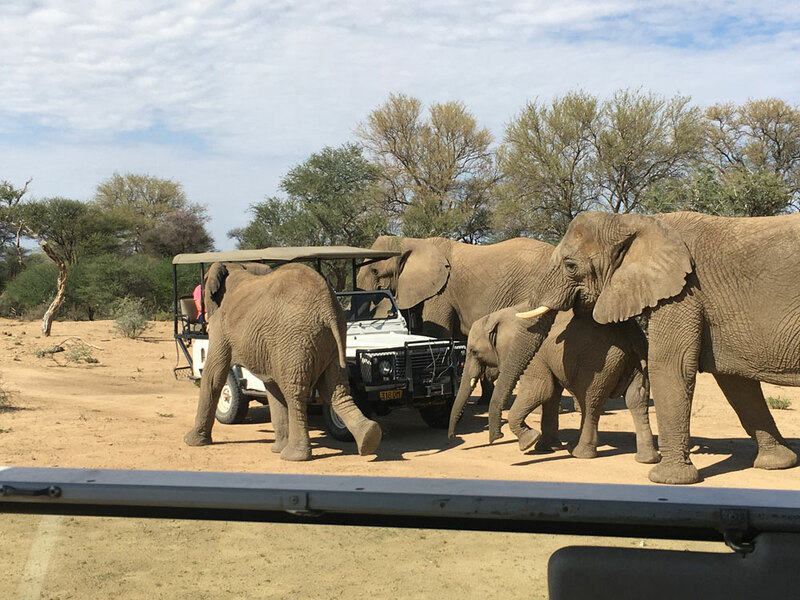 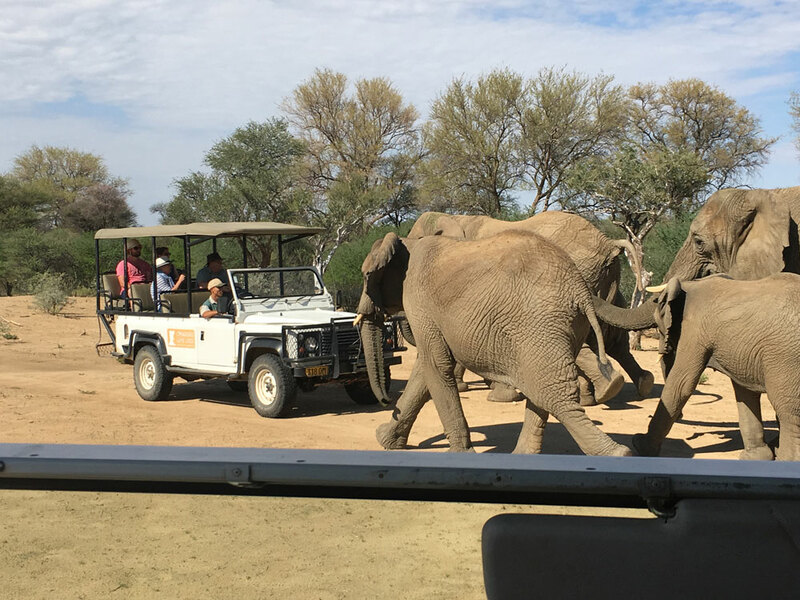 We offer daily safari tours in the morning and in the afternoon, our off-road vehicles are equipped with sunshade roofs, on which the African wild- and rich bird life can be explored. 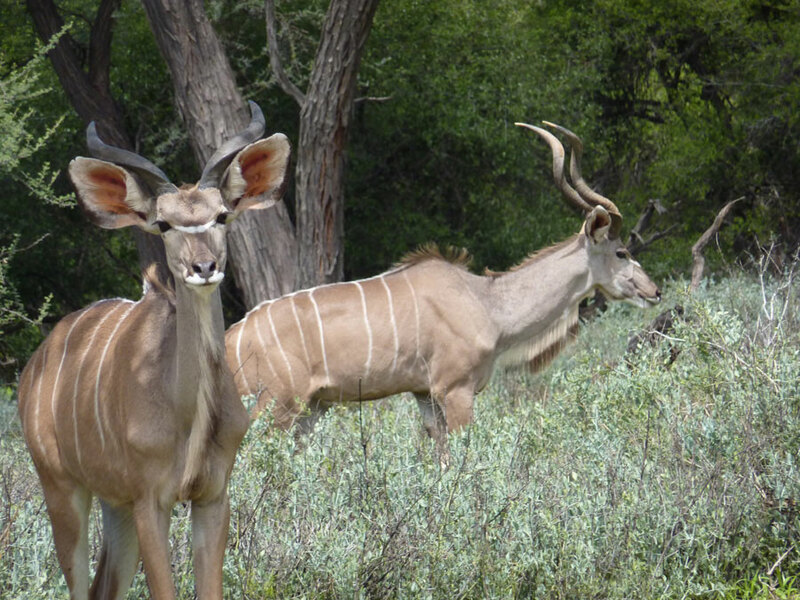 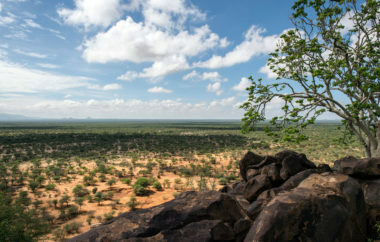 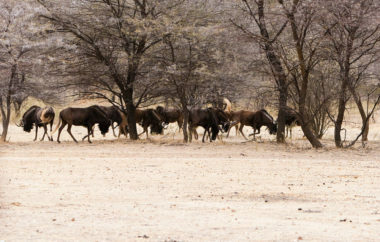 You will likely be able to spot a great variety of wildlife species, such as white rhino, elephant, hippopotamus, giraffe, oryx, kudu, waterbuck, mountain as well as common zebra, eland, blesbuck, ostrich, sprinbock, blue and black wildebeest, common and endangered black nose impala, warthog, steenbok, damara dik dik, chacma baboon and many types of birds.